According to the study, which was funded by the National Institutes of Health (NIH), a higher Omega-3 Index was associated with a lower risk for total CVD events, total coronary heart disease events, and total strokes. The category most strongly associated with the Omega-3 Index was non-CV, non-cancer deaths – deaths from all other causes. This would suggest a wide spectrum of beneficial actions of EPA and DHA in the body that are not just linked with one pathological process (like plaque buildup in arteries). The link between higher omega-3 blood levels and lower risk for death has been reported in at least three other studies, but what was novel about this most recent study from Framingham was a comparison the authors did between serum cholesterol and the Omega-3 Index, two “risk factors” for heart disease. 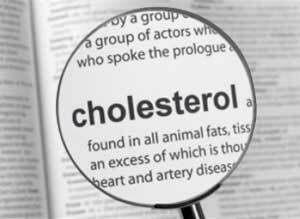 “We all know that the serum cholesterol level is a major risk factor for CHD, and since the latter is a major cause of death in the Western world, it would be reasonable to expect that a high cholesterol level would portend higher risk for premature death,” said lead author Dr. William Harris. “This did not turn out to be the case here. When baseline serum cholesterol levels were substituted for the Omega-3 Index in the same multi-variable models, the former was not significantly associated with any of the tracked outcomes whereas the latter was related to 4 of the 5 outcomes assessed.” Future studies are needed to try to replicate this finding and to determine if it is time to begin including the Omega-3 Index in routine blood screens along with cholesterol and glucose.